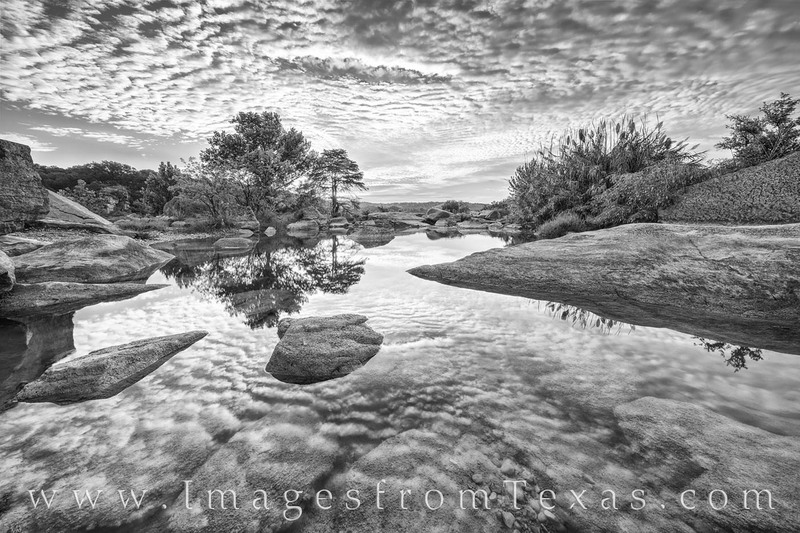 This black and white photograph comes from a perfect morning along the Pedernales River in the Texas Hill Country. The water was calm and the sky amazing, and the reflection of the clouds seemed to blend into the visible rocks beneath the surface of this clear pool. Photo © copyright by Rob Greebon.